First of all, a very Happy St. Patrick’s Day to ya! 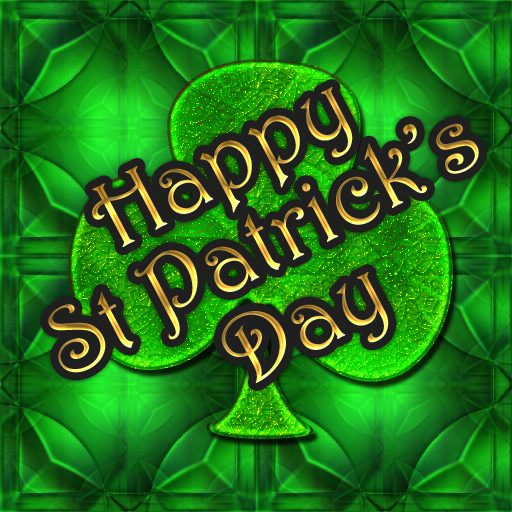 May each petal of a four leaf clover bring you good health, good luck, love and happiness …. Well, yesterday was my birthday, and let’s say I can now legally order a glass of wine or beer, and most likely not be carded. It was my birthday and a quite a special one. My daughter and her husband came down from Portland, OR, to celebrate; and we had a marvelous weekend. First, my daughter pampered me with a relaxing pedicure, then we went shopping at the little farmer’s market near the house before I left for an audition for the next play at The Cottage Theatre, Moon Over Buffalo. While I was there Kirsten and Eigo made some delicious vegan cupcakes which we took with us to a local restaurant to meet a group of wonderful friends who gathered in my honor. It was a lovely evening filled with good conversation and lots of laughter. 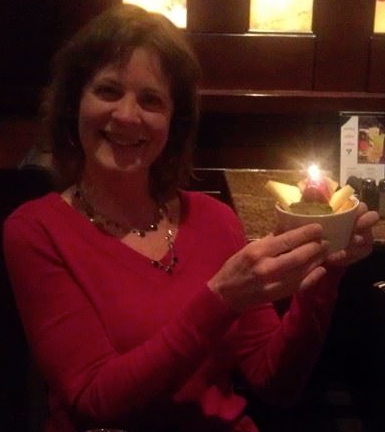 Then later my son, Sean, called with birthday wishes all the way from a small island in Cambodia. I went to bed quite happy since the entire day I felt quite loved and was showered with some spectacular birthday wishes. Birthdays provide a mark in time of memories, and they also provide a time of thinking and reflection. I have to laugh at myself today for being so heavy about things for most of my life. I used to worry a lot and struggle with a lot of heavy emotions and thoughts in my 20s and 30s … and into my 40s … always over-thinking … even though I thought I was a pretty lighthearted girl. I’m happy to say that over the past several years I’ve learned to LIGHTEN UP. I’m having fun, being good, and doing a lot of good. I’m finally following my passions and doing what I love like acting and traveling to new places, gardening and cooking; caring for my home and basically trying not to worry so much about life. I pretty much feel like I’m on top of the world. Here’s the lesson I’ve learned and that I’d like to share. When you are in your 20s and 30s, LIGHTEN UP. Have fun while you’re young. Go out and experience every opportunity you can. When you head off for college, study hard and work hard but take in all of college life. Do live on campus and experience the dorm life. Do get involved with campus activities, campus clubs, theatre, music, art, sports – whatever you love. Participate in community service projects. If you have a passion for something, don’t wait to experience it. Do it now. Travel abroad and experience the world. Meet people from other countries. You’ll find out that everyone is not so different, and we all want the same things for ourselves and our loved ones. Don’t worry, life will give you plenty of reasons to worry eventually. So, truly, when nothing is really that concerning, don’t dwell, just fill yourself up with education and interesting experiences and interesting people. Yes, most important, surround yourself with interesting, positive people. Cherish and nurture your friendships for friends fill your life with color. Friends fill your life with laughter. Friends fill your life with love. They will encourage you, inspire you, help and support you in times of need. “A friend is someone who knows the song in your heart, and can sing it back to you when you have forgotten the words.” (Donna Roberts).